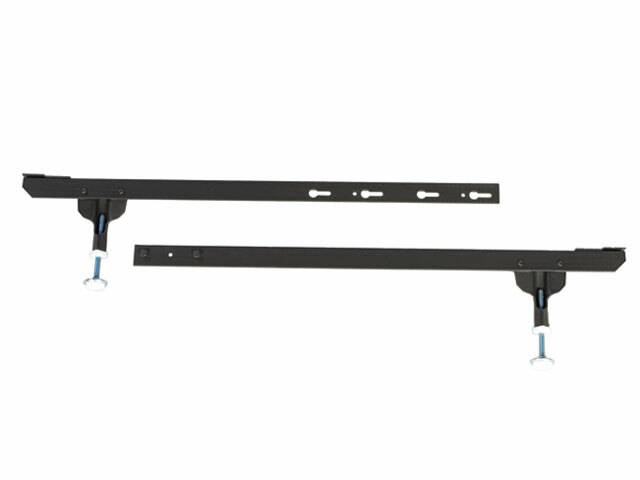 Big Lift center support fits most full or queen size metal bed frames. The big lift insures rigid center support where you need it most. You can use a Big Lift at the center, head and foot of your frame to provide adequate support for split box spring sets. Sturdy, all steel legs to give extra support. A center support is optional for a Full Size bed, but required for a Queen size bed or if you have split box foundations or split box springs. You can use one, two or even three Big Lifts to provide the best support available. Added support not only gives you an added piece of mind, but also extends the life of your mattress set. The Big Lift prevents your box spring from warping and mattress from sagging. The floor guides of this Big Lift have major adjustment space to fit most tall or short frames. The Big Lift is also necessary if you have hook in metal rails and are going to use a split box spring set. Big Lift all-steel center support for Full or Queen size mattress sets.